HACERA - Should you “bank on blockchain”? Should you “bank on blockchain”? GRAND CAYMAN, February 9, 2018. A poll of recent attendees at a CAIS-hosted event in New York suggests that spending on technology is only set to rise in coming years, while blockchain is widely seen as the most disruptive technology emerging onto the tech scene. Jonathan will be in distinguished company speaking alongside Chris Ferris , CTO IBM Open Source Solutions and Chair of the HyperLedger Technical Steering Committee Anatola He, Vice President of Business Development, HyperScience and Dutt Chintalapati , Co-Founder & COO, EZOPS, with Daniel Santiago of Harmonic Fund Services chairing the discussion. The panel will be discussing the applications asset managers are likely to be using in coming years, how the client digital experience will evolve as well as the obstacles that lie ahead as the asset management sector tries to gain an additional edge by investing in and exploiting nascent technology. Jonathan’s wide-ranging career has allowed him to accumulate a considerable depth of knowledge and experience; in tech, as a banker and as an entrepreneur. He has a decade of experience in global quantitative risk management systems at Goldman Sachs, Barclays Capital, and Standard & Poor’s, as well as being considered as one of the most influential people in the enterprise blockchain space having been one of the early active Bitcoin technologists, and having worked with Ethereum and Hyperledger Fabric from their inception. It’s given him a unique perspective across risk-management, crypto and finance which helped him to play a key role in this emerging field. His inclination to make things happen and his ability to lead teams and steer projects that ship solutions on a global scale has inevitably lead to his finding himself assuming leadership roles. HACERA sits at the intersection of technical advancements in blockchain and applications in fields such as trade finance, IoT and the supply chain. Blockchain technology has the potential to revolutionize the asset management industry, and HACERA’s platform will be ideally positioned to support various applications in the field. In light of the new technologies, now is an incredibly exciting time for alternative investments and Jonathan hopes to cover a lot of ground during the conference, including the challenges, the risks and the short- and long-term investment value in the technology. 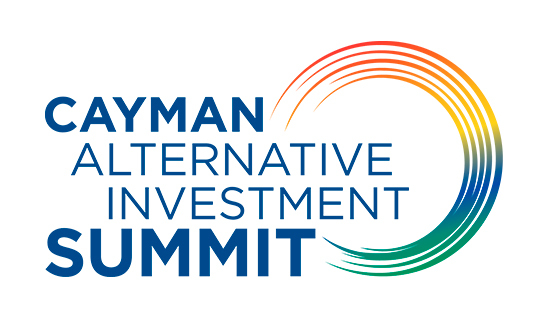 Jonathan will be joining luminaries including star investor Jeffrey Klein and the actor/producer/investor Will Smith for CAIS at the Kimpton Seafire Resort and Spa on Grand Cayman. The FutureTech panel will take place on Friday, February 9, at 16:00.